The movie Get Smart (Steve Carell, 2008) has a training scene with paintballs, but no paintball guns. 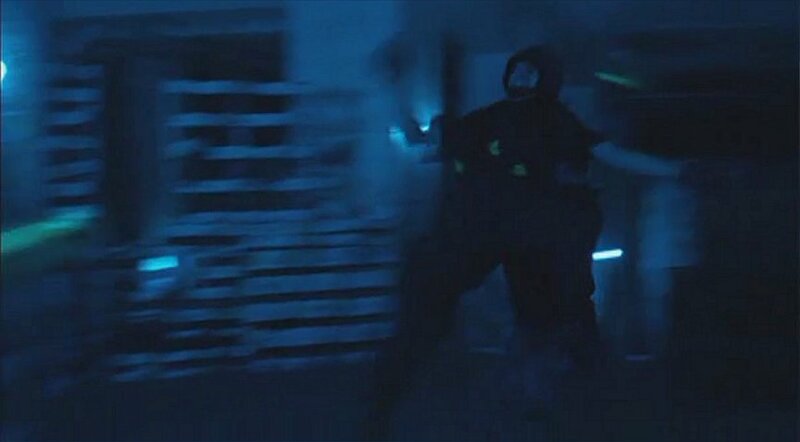 The trainee takes some seven or eight hits, which do, in fact, look very much like actual paintball hits. You can even see a yellow ball streaking in from the left. In retaliation, other trainees shoot back at 23- their guns produce bright muzzle flashes and eject shells. Again, clearly not paintball guns. Agent 23 lifts and carries an attacker as a shield to cross an alleyway. More paintballs can be seen streaking in to hit the hapless trainee. 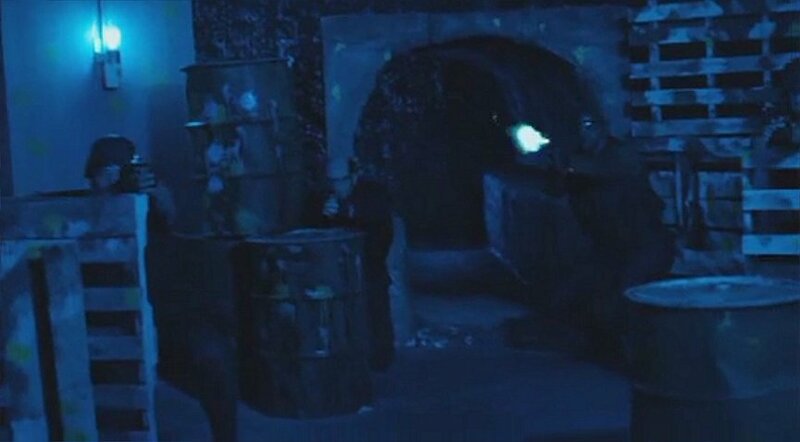 It's possible, or even probable the studio used actual paintball guns to produce the hits in this scene, but none are shown in the film.